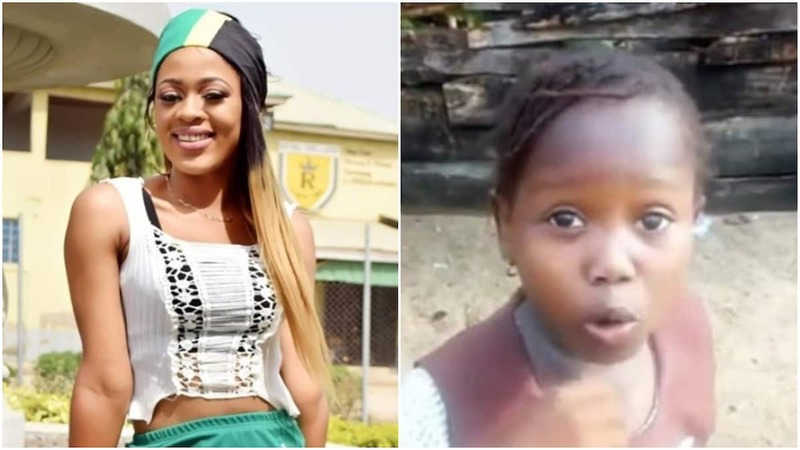 The internet was completely excited to meet little Success, a young girl who sent home from school for not paying her fees. Her attitude to education attracted a lot of Nigerians, who have come together to try to make life better for the young girl. However, the world only got to know Success after a Stephanie idolor, recorded the video and shared it on the social media. For finding the 'talent', Idolor has come out to say that she deserved money from the family who she believes have been getting a lot of money and gifts from Nigerians. In a recent clip, Stephanie can be heard demanding that she gets at least 20 percent of what Success has gotten since the video was released. Her rant has gone viral and many people have had a lot to say about it, including Success' mother. Interestingly, Success' mother has claimed that they have already given Stephanie over N500,000 but she has demanded that she has a joint account with the little girl so as to get more money. Success' mother has refused her demands and it for that reason that she is playing victim and even allegedly threatening the family.